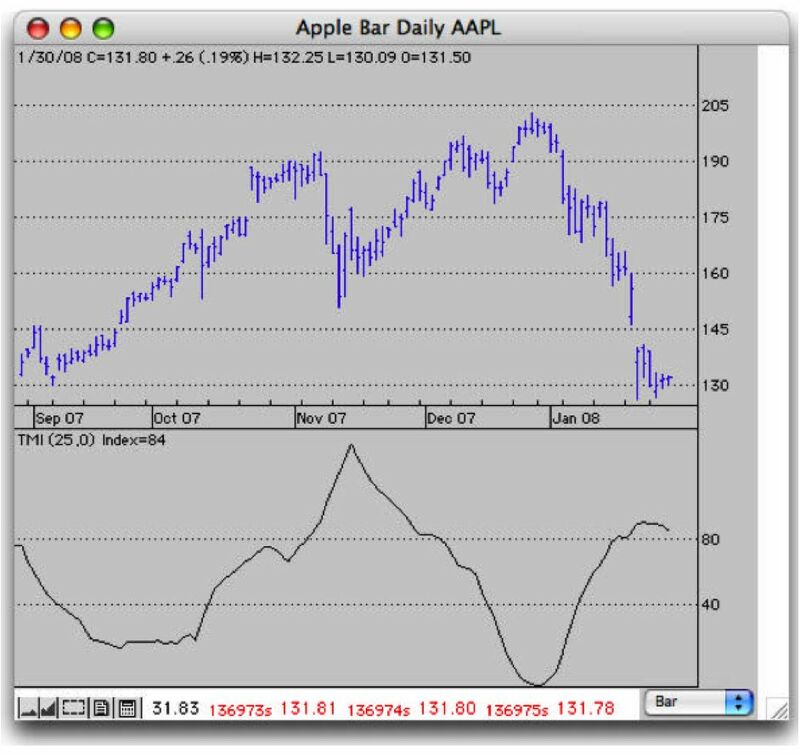 The Trendsetter Movement Index (TMI) is another proprietary indicator created by Trendsetter Software and unique to its Mac based software products. TMI is based on average daily range, which typically increases or decreases before a major market turn. TMI measures this range oscillation to spot critical turning points. Reversal signals appear when the value of TMI exceeds 80 and peaks or falls below 20 and bottoms. At that point, we take the opposite direction of recent price activity. In our example below, we achieve reversal signals in November, as Apple's price turns and again in late December and again in late January. Each reversal predicted major moves in Apple's chart. Signals occur infrequently, but are rarely wrong when they do. All Content © 2017 Trendsetter Software, Inc.